Our friends at Industrial Toys (the studio Gunslinger was born out of) sent us a housewarming gift for the new space we moved into a little over a month ago. 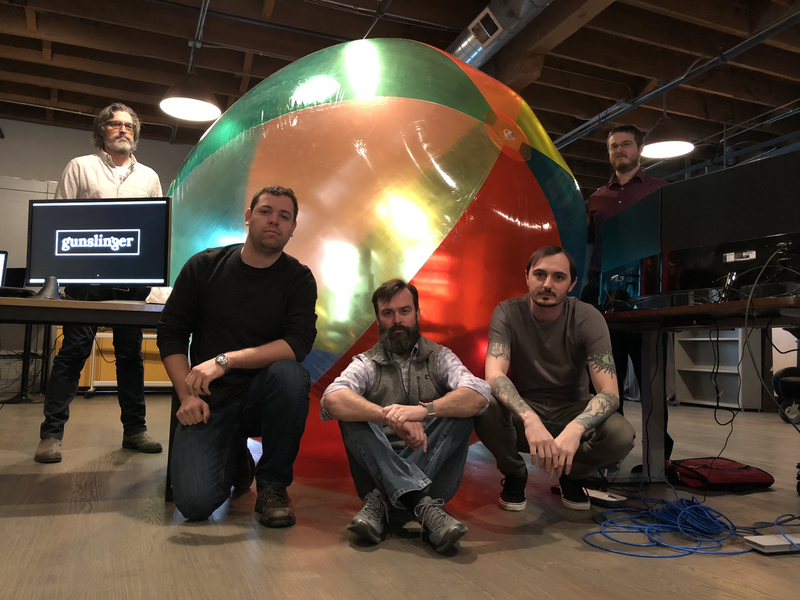 It’s a ridiculously large beach ball that caught some infamy momentum on Reddit, given its potential to inflict terror and bodily injury. We’re currently trying to figure out what to do with it. That's a really awesome looking space!